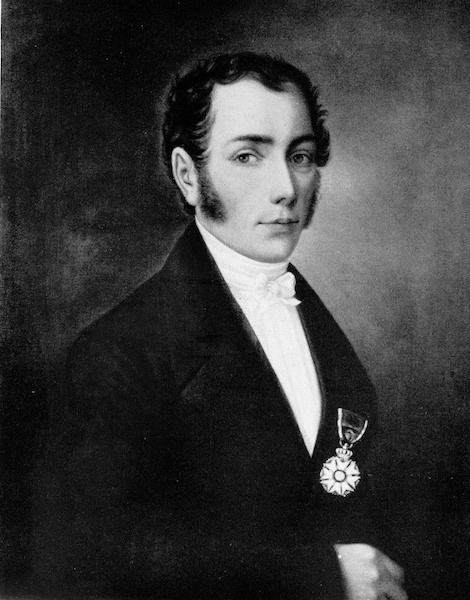 Joseph von Fraunhofer was born on March 6, 1787, in Straubing, Bavaria. Orphaned at a young age and apprenticed under a strict mirror maker, Fraunhofer’s early life was difficult. At work one day, the building around Fraunhofer collapsed, trapping him beneath rubble. Oddly enough, this incident was a positive turning point for the young glassmaker. The building collapse and subsequent rescue of Fraunhofer caught the attention of Prince-Elector Maximilian Joseph and a politician named Joseph Utzschneider. The support of these men provided Fraunhofer with funding and enabled him to receive an education while continuing his practical training in optics. Joseph von Fraunhofer. Image in the public domain in the United States, via Wikimedia Commons. Eventually, Fraunhofer entered the Optical Institute at Benediktbeuern, where he enhanced his glassmaking skills. He was given the task of making achromatic lenses for telescopes, at which he excelled. In 1818, Fraunhofer became the director of the Optical Institute, continuing to perform great work. During his lifetime, Fraunhofer developed a few important optical devices. One such contribution is the spectroscope, which helped Fraunhofer study light with great precision. He is also known for furthering the development of diffraction gratings. 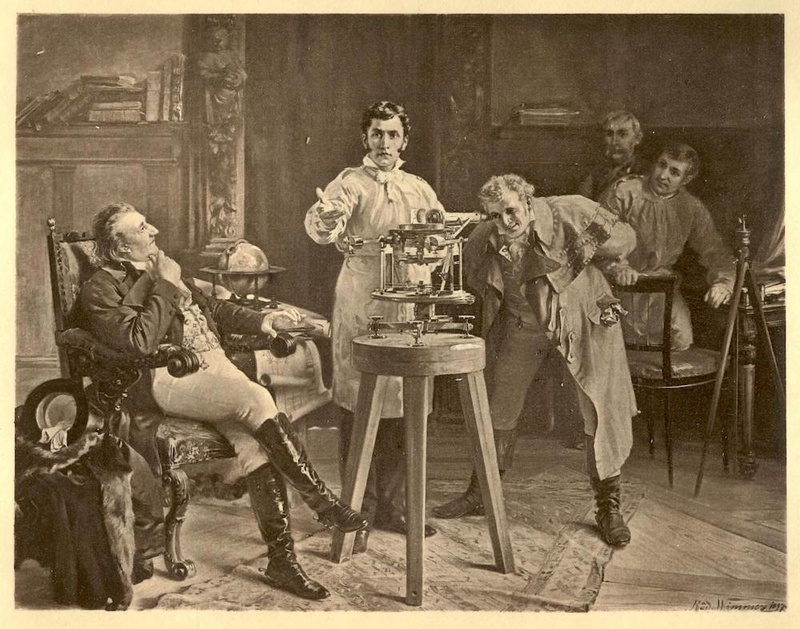 Fraunhofer displaying his spectroscope. Image in the public domain in the United States, via Wikimedia Commons. One of Fraunhofer’s most significant achievements is rediscovering a set of spectral lines, which would later be called Fraunhofer lines. Fraunhofer’s research in this area led him to independently discover over 570 dark lines in the solar spectrum. While these lines had been observed before, Fraunhofer added to this knowledge by measuring and recording the lines. Left: Visual depiction of Fraunhofer lines. Image in the public domain, via Wikimedia Commons. Right: A rainbow formed from natural light. Due to his influential work, Fraunhofer received various honors. For instance, he earned an honorary doctorate from the University of Erlangen. He was also appointed as a knight of the Bavarian Crown, which gave him the status of personal nobility. Today, Fraunhofer’s work remains important. For example, his pioneering work on diffraction gratings and stellar spectroscopy has led to the development of modern spectrometers. In honor of his lasting achievements, let’s wish Joseph von Fraunhofer a happy birthday!